Even the most domesticated or well-trained dog can have spastic moments that lead to dog bites. 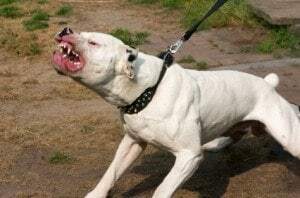 Some owners make the mistake of assuming that their dog would never be one to bite another human, but the reality is that dog bites are increasing every year due to owners’ failure to take necessary precautions. Dog owners are too quick to believe that their dog is well-behaved and would never lash out at a small child or other person. The reality is that owners need to care about taking preventative measures to ensure that no individual ever receives a dog bite. There are over 78.5 million dogs in the United States, and dog bite statistics will never decrease if owners continue to neglect their duty to protect other members of the public from potential dog bites. The Centers for Disease Control and Prevention reports that over 4.5 million people receive dog bites every year. Over 885,000 individuals who receive a dog bite require professional medical help to treat their injuries. Even more troubling, about half of these individuals requiring serious medical attention are children. When one receives medical treatment for a dog bite injury, he or she usually requires additional help after the treatment. He or she may require physical therapy to rehabilitate an injured part of the body, such as an arm, leg or hand. He or she may also require reconstructive surgery. The CDC also states that over 27,000 people require specialized reconstructive surgery after they receive a dog bite injury. Taking these steps can help one to ensure that he or she is ready for the role of being a dog owner. By choosing a breed that is appropriate for one’s home or circumstances, a dog owner can reduce the chances that a dog will out-lash or bite at others for improper care. Dog bites also can be a cause of tragic deaths in the United States. Illinois faced two deaths as the result of dog bites in 2010. The majority of deaths were caused by the pit bull dog breed. The average cost of a dog bite claim in 2011 was about $29,400. If you have been a victim of a dog bite attack, then you may be eligible to receive funds to compensate you for your injuries. The amount provided to dog bite victims has increased over the years. In 2003, the average cost of a dog bite claim was only $19,100. Now, that figure has increased by at least one-third. Dog Bite Victim Statistics: Who Is Bitten By Canines? If you have a child, then you can teach that child certain protective techniques for being around dogs. You should teach the child to remain still if he or she is approached by an unfamiliar dog. You should also teach the child to roll into a ball and remain still if he or she is knocked over by a dog. A child should also always avoid eye contact with the dog. One last tip to teach to children is to never touch a dog while it is eating, sleeping or feeding puppies. There are many individuals who can be at risk for suffering from a dog bite. People of all ages can be vulnerable for experiencing a dog bite if they attempt to play with an aggressive dog. If one is not familiar in playing with a certain type of breed, then he or she can also be at risk for suffering from a dog bite. Most commonly, children are the ones who are at risk for suffering from a dog bite. A child may run up to a dog and try to play with it. He or she may also be easily knocked over by a dog due to small size. It is important that parents recognize the risk that owning a dog can pose to young children. Parents should also make sure that they wait until a child is comfortable with animals before introducing a dog into the home. Otherwise, the child may be at risk for receiving a dog bite injury. If you or a loved one has received a dog bite, then it is imperative to take action fast. Dog bite injury lawyers can assist you in this stressful time. Dog bite injury attorneys Rosenfeld Injury Lawyers LLC can pursue a claim against the individuals who are the owners of the dog and deal with the insurance claims process for you. Contact our Chicago dog bite injury lawyers today to get the help you need.